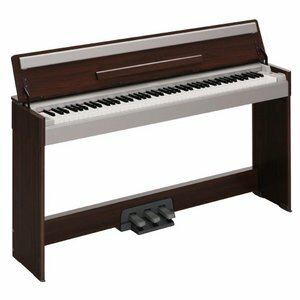 I own a Clavinova CLP330 with GH3 keys, what from my point of view, is a good option if you cannot afford an accoustic piano. As far as Clavinova is "just a piano", I am thinking on buying an additional one to compose and record, I mean, where I can record bass, drum patterns, piano of course and someother instruments and burn a CD on my computer. Can any recommend some good one?, I saw Yamaha DGX630 but probably is not enough. I saw David use a Yamaha Motif XS 8 (I think), but this costs more than 3K€. I recall to read your recommendation about Yamaha YDP-140 (agreed 100% with you). Return to Piano FAQs Question or Answer. I have a Casio, is that a good brand? I was wondering if anyone know of a great electronic piano in a reasonable price. 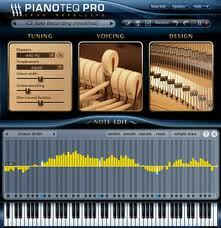 I'd really like to play an instrument that has a touch similar to the touch of a piano and which I could afford. I don't have much money being a student and all. could you please recommend a "Virtual piano" program for my computer? I am a basic learner of the piano and have watched videos of piano lessons and read your insructions on the basics required, they are very good. 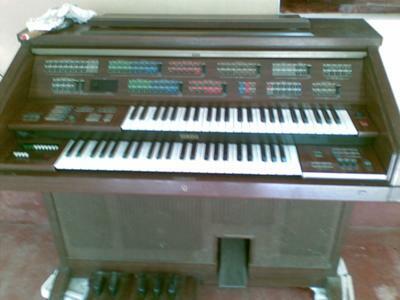 My Organ Has Two Keyboard's - What Shall I Do With It? What do you do when you have two keyboards in one piano? Which one is the main one? What's the difference between play the piano and the keyboard? I was doing the beginners section and found that I don't have as many black keys as a piano. At the moment I was learning (abcdefg) I had to stop at e.
I recently purchased a Yamaha CP5 and can't figure the thing out. The manual is too technical and the instrument is far more complicated than my Yamaha P 120. Any idea where I can find a tutorial or an instructor? As a very-VERY overdue homage to my late uncle who left a few dollars to spend, some of which I already spent UNWISELY, I've decided to use some of it to try a do what he wanted earlier in HIS life. You see the basis for the rift between his father (MY grandfather) and him was that he (my uncle) was granted a scholarship to study classical piano, BUT his father (again MY grandfather) was too proud of a "Black-man" to sign-over his son to "White' people who offered this extremely generous gift to study piano. As a result of MY grandfather's obstinace, my uncle did NOT get to study classical piano, and they were at odds with each other until one died in the '70s and my uncle's recent death a few years ago. And so NOW I'm left with the legacy of being introduced to classical music by my late uncle and I now feel, hesitantly, obligated to show my deep appreciation by "TRYING" to learn to play piano, ...at MY age of 57 years old. 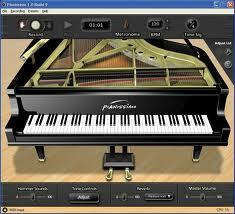 I recently purchased a "44" key electronic piano keyboard "JUST" to learn piano-style music and to, LEARN, read music. BUT from various "ONLINE"/Internet readings I see that, at least, a "49" keyboard is preferred, THOUGH I've seen "25" key keyboards ...AND !" the standard "88" key keyboards. I am a bit awkward about did, in my anxiety to get an inexpensive cheap? keyboard. QUESTION: "IS" this/MY "44" key keyboard enough for my initial purpose? "IF" I am infatuated enough with this effort, I plan to get a "better" MORE piano dedicated keyboard ...AND eventually a full-sixed piano..."MAYBE ?" in the future. I would like some feedback form you in this consideration. I have owned quite a few keyboards, the latest being the Tyros 2. You will know that the keys on any keyboard are smaller and the touch is minimal. My worry is if I were to invest in a Yamaha CVP; for instance, is that the increase in size of both the width of the keys and the heavier touch will take a lot of practice to master and my present expertise will suffer as a result. I've come across a 1942 Steinway Console with ivory keys and they say in excellent condition. What do you think about this particular model? It's a good upright piano? Thanks in advance. I would very much appreciate your help. 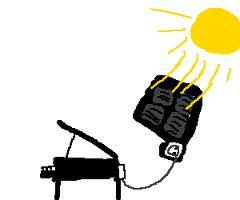 I know someone who has one Hemingway digital piano, and one of the pedals is not working but eventually will be fixed. But I would like to know if it is possible to buy external pedals on which you can plug it to this piano..? What's the Difference Between an Upright Piano and a Grand Piano? What,דs the difference between a big piano made from wood and a samller one? Which is better for me in these regards? The Yamaha PSR 550 or PSR 710? New here and new to pianos. So i'm turning forty next month and my wife asked what I wanted as a gift. The answer I've always wanted to learn how to play piano and i'd love to have one in the house. Long story, some what short. A guy down the road from my house I met at the local coffee shop said his mom had one that was working tuned and in good shape that i could have. if i either paid to move it or moved it myself. the best part is he said it was free..... YA HOO. He told me It's a Hobart M. Cable grand upright and because of the serial number I thought it was made in the 1920’s. Is this brand any good ???? Is it worth my time to lug it over here??? Will i need to retune it after the move??? its literary two country streets over making the move fairly easy. Är ditt piano ostämt eller behöver det en översyn av en fackman? 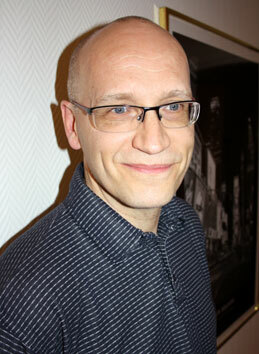 Jag heter Hans Vesterberg och har flyttat från norra Sverige till Stockholm. Jag bor i Kungsängen i nordvästra delen av länet. Jag stämmer pianon, flyglar (konsertstämningar) och cembali. Jag stämmer på gehör eller med stämapparat allt efter kundens önskemål. Jag utför komplett mekanikjustering och intonering av såväl flyglar, pianon och i viss mån även cembali. Jag är speciellt utbildad på mekanikjustering av Steinway-flyglar. När det gäller pianon så är Yamaha min specialitet. You may find yourself quitting again and have to sell that expensive model at a loss-- not smart. Or you have to sacrifice something of necessity for that Korg-- again, not smart. If you will only be playing at home for your own entertainment and learning, then the better way to go would be to buy a cheap model with 73 (or full 88) keys. This way you've invested minimally and won't feel bad having to sell it at a small loss. Better, if you decide to stick it out, that crappy-sounding keyboard can be enhanced by way of your computer to sound as good as it gets! Believe me- I know! Of course you can change the sounds it can produce to fit your style or taste for the moment. You don't have to go living beyond your means for a great sound. Even if you can afford a great-sounding keyboard, frugality is the magic word here as too many students give up in the first few months. Here's to your success-- stick with it! 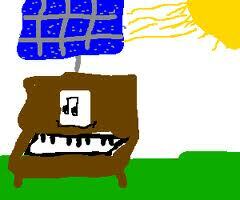 I´m trying to find a solar panel to provide electricity to my electronic piano, and I have no idea how many W should I look for. Could anyone help? I love the Music Database as I am starting to write my own songs and this is great for ideas for chords and bass lines. Problem is, I don't want to 'rely' on the accompaniment of the bottom chords (as much as I love them), in my live performances. I want to play these chords myself. To someone more experienced these might be easy to work out exxactly what is being played, but to me it's not. It would take a long time to work out what each database is playing. Yes I know it tells you which chord, but I can't see in the book that it tells you which instruments and what the break up of the notes of the 'riff' are that is automatically being played in each music data base, bass section of the tune. Do you know if there is this information anywhere ? Thank you if you or anyone else can help me. I'm also a piano teacher. I just bought a Yamaha motif xs8 and I was looking for an online tutorial on how to use and record with it. Thanks. I'm thinking picking up piano as my next hobby. After seeing one of my friends playing at their house with their kids made me want to learn. Anyhow, they have an extra grand piano they are selling, Baldwin M 170736. I have no clue about piano, but they are willing to sell it for couple thousands. It has couple strings that are broken. We are friends but not close, friend of a friend. Any tip would helps a lot. Thank you! I have a question about finding guidelines on switching sounds on a keyboard, Style Controls, Multy Pad control and Voice Category Buttons. They make me really confused and I searched in many places to get knowledge about these but I didn't find what I was looking for. please Help me to know more about these. What is the best kind of piano to buy? I currently have a little keyboard that doesn't even have the full set of keys on both sides. 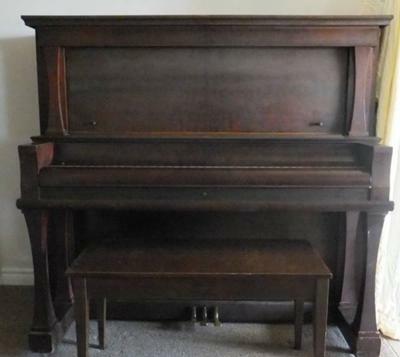 I live in a large house and I have a music room with other instruments, but I just don't know what type of piano to purchase. Please help!